Arbitration is an ancient system of resolution of dispute between parties by person or persons as agreed by them. With the velocity of time the concept and principles of arbitration awarded with statutory recognition in different countries and the basic object of arbitration with the change of time remained unbothered i.e. to resolve any dispute in convenient of the parties. 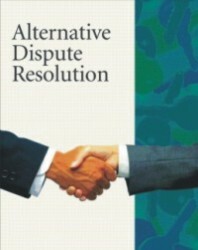 According to Black's Law Dictionary, arbitration is “a method of dispute resolution involving one or more neutral third parties who are usually agreed to by the disputing parties and whose decision is binding'. In Bangladesh, now, arbitration proceedings are regulated by the Arbitration Act, 2001 which also includes international commercial arbitration. It may be advantageous to note that the said statute is for the most part based on the Arbitration Act, 1940. A precise idea concerning arbitration is of paramount benefits especially for those who are engaged in the fields of trade, commerce or business. Any commercial contract may contains a clause of arbitration i.e. a provision to refer any dispute arising out of the contract between contracting parties to arbitrator or arbitrators whose decision shall be binding upon the parties. Although a dispute may be referred to a sole arbitrator but usually each party appoints one arbitrator and the appointed arbitrators engage the third arbitrator, popularly known as umpire, who shall be the Chairman of the arbitral tribunal. If either party fails to comply with a request to appoint an arbitrator within thirty days then the opposite party may apply to the District Judge or in case of international commercial arbitration to the Chief Justice or to any other judge of the Supreme Court as designed by the Chief Justice. Furthermore, if the appointed arbitrators fail to agree on the third arbitrator within thirty days of their appointment then he shall be appointed by the court in the above mentioned way. In a case the Indian Supreme Court ordered that, “….in spite of request by the petitioner, the respondent had failed to exercise his right to appoint an arbitrator. At this belated stage, now, the respondent cannot be permitted to take advantage of its own fault…..since there is failure on the part of the respondent in making an appointment of an arbitrator in accordance with the agreement, prayer cannot be granted”[2006 SCACTC 38 (SC)]. The arbitrators should confine their functions within the ambit of the agreement between the parties which is the sole authority of their jurisdiction. “The arbitrator cannot act arbitrarily, irrationally, capriciously or independently of the contract. His sole function is to arbitrate in terms of the contract. He has no power apart from what the parties have given him under the contract. If he has traveled outside the bounds of the contract, he has acted without jurisdiction” [2006 SCACTC 862 (SC)]. “…[D]eliberate departure from the contract amounts not only to manifest disregard of the authority or misconduct on his part but it may be tantamount to mala fide action….He cannot award an amount which is ruled out or prohibited by the terms of the agreement.”[(1999) 9 SCC 283]. Misconduct on the part of the arbitrators may be a ground for setting aside their award. [50 DLR (AD) 63]. The place of arbitration may be determined by the concerned parties, failing which by the arbitral tribunal having regard to the circumstances of the case, including the convenience of the parties. Unless the arbitrator's fees have been fixed by written agreement the arbitrator may fix his own remuneration and include it in the award. (1945 Sind 71). But the fees should not be unreasonable and excessive. Arbitrators may decline to file the award if their remuneration is not paid (1945 Nag 117). A party to an arbitral proceeding may be represented by his lawyer or other person chosen by him. Evidence may be given orally or in writing or by affidavit. The tribunal has also the authority to administer oath or affirmation to a witness subject to his consent. In fact, to understand arbitration proper knowledge on the law of contract is must. If the contract containing arbitration clause is void then the said clause may not be possible to enforce. “The question, therefore, arises whether the illegal or void parts may be separated or 'severed' from the contract and the rest of the contract enforced without them” (Halsbury Law of England; Fourth Edition; Volume 9, Para 430, P. 297). The genera rule is that “where you cannot sever the illegal from the legal part of a covenant, the contract is altogether void; but where you can sever them, whether the illegality created by statute or by common law, you may reject the bad part and retain the good” (Chitty on Contracts; 29th Edition; Volume 1; pp.1048-49). It reveals that partial invalidity in contract will not ipso facto make the whole contract void or unenforceable [2006 SCACTC 38 (SC)]. ix. The arbitral award is induced or affected by fraud or corruption. It may be noted that, in proceedings out of arbitration, a court cannot be regarded as a court of appeal of appeal from the decision of the Arbitrator. Courts are in favour of non-interference with his findings unless they are perverse or he has misconduct himself or the proceedings (43 DLR 1). In family settlement of dispute by means of arbitration is not ordinarily interfered by the courts on technical grounds. In Kerr on Fraud at p. 364 it is marked that, “…the principle which apply to the case of ordinary compromise between strangers do not apply to the case of compromises in the nature of family arrangement. Family arrangements are governed by a special equity peculiar to them, and will be enforced if honestly made…” The object of the arrangement is to protect the family members from long lasting hostilities and hatred relation and to ensure the unity and homogeneity among family members. In fact, arbitration is an expanding branch of law in our legal system with paramount significance. A series of Articles may be beneficial for us to understand its salient features. The proper practice of arbitration may save disputing parties, in many cases, from hazardous expensive litigations and assist to flourish commercial arena in sound atmosphere. The writer is a law practitioner.